Cauliflower Gratin with Horseradish Sauce makes for a subtle yet savory side dish that turns luxurious, thanks to a topping of fresh breadcrumbs mixed with Asiago Cheese. 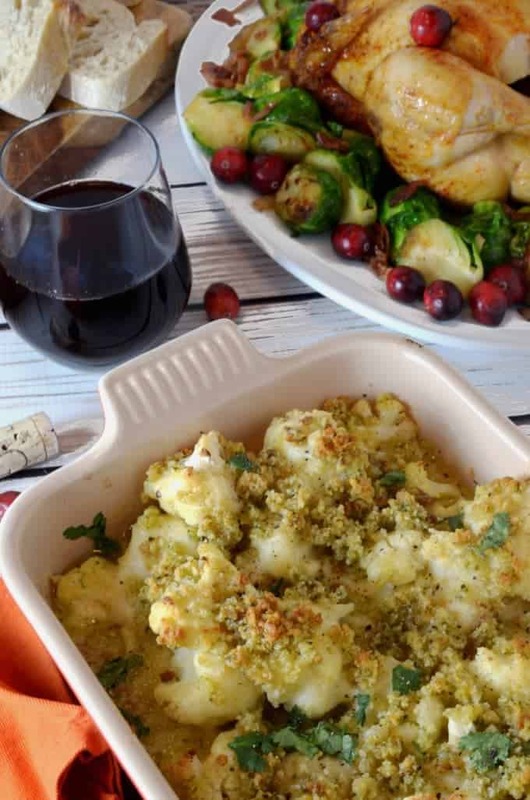 Cauliflower au gratin, topped with a savory layer of cheesy breadcrumbs. Cauliflower Recipes don’t have to taste plain and boring! 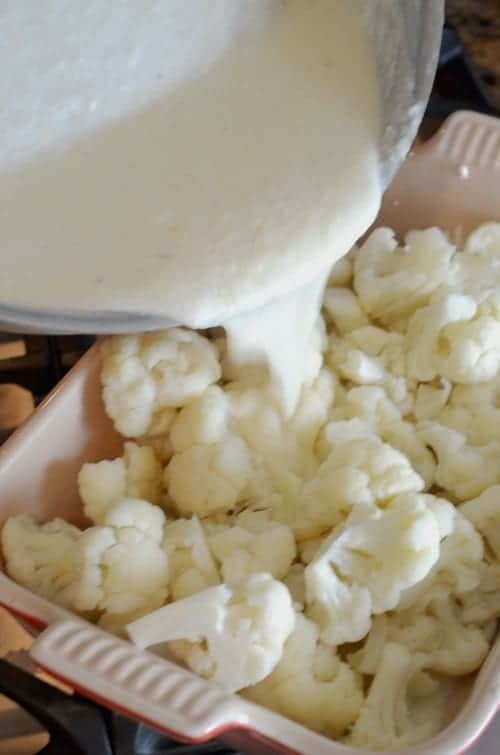 Start this recipe for Cauliflower Gratin by creating a roux, using butter and flour. In case you don’t know how, follow this informative link on How to Make a Roux. 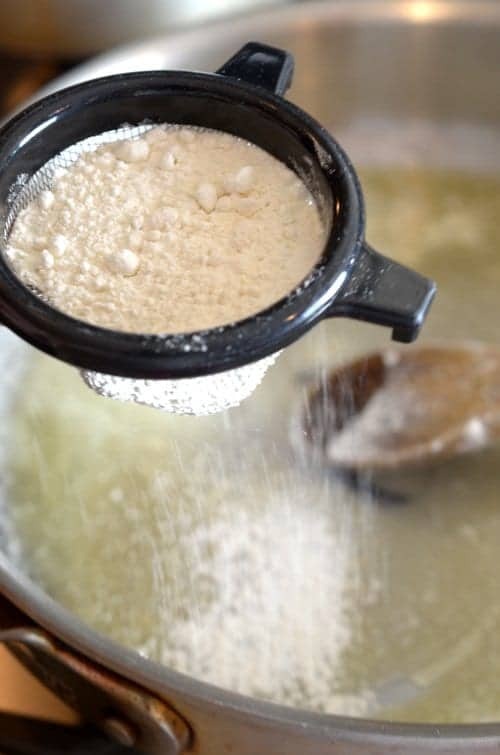 Use a handheld fine mesh strainer like the one shown to help prevent clumps of flour in the roux. Then, gradually add the milk, stir and heat until the sauce begins to thicken. Now, things are going to start to turn delicious. Add some refrigerated horseradish to the sauce, and stir it in well. Then, pour the sauce into the baking dish filled with the cauliflower florets. 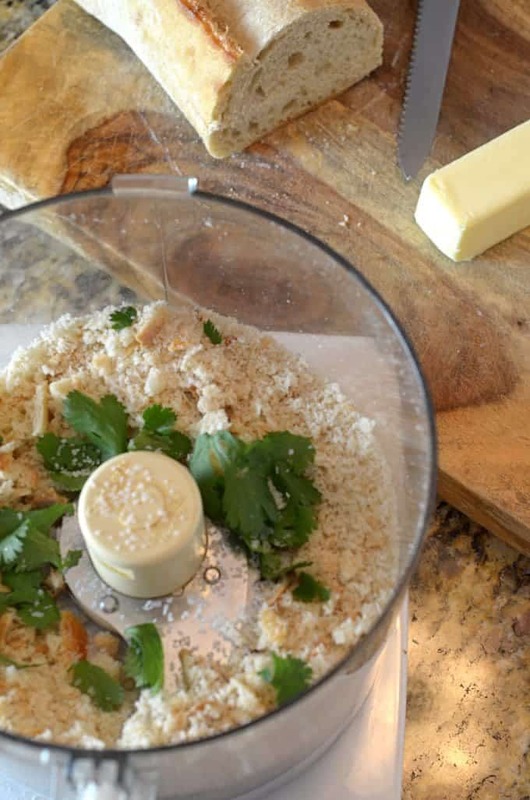 Use a food processor to make some fresh breadcrumbs. Just before popping this Cauliflower au gratin into the oven, mix up a batch of fresh breadcrumbs to top it with. 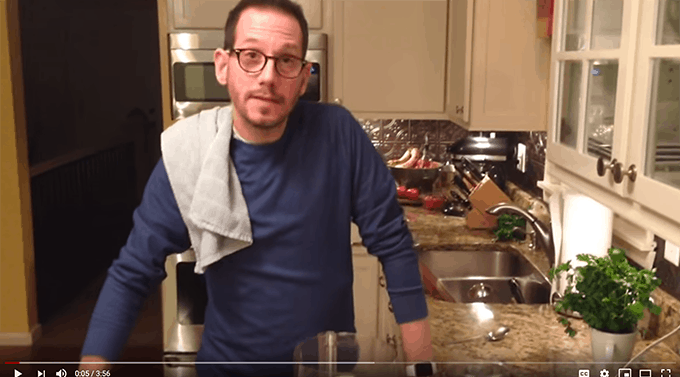 If you’ve never made your own breadcrumbs, Scott shows you how to make breadcrumbs in this food video. Click the image to learn how to make breadcrumbs from Scott. You’ll never buy them again! A few slices of bread, for this I used a small portion of some artisan bread and I reserved the remaining loaf to serve with this meal. A half stick of butter, or about 4-5 tablespoons, softened to room temperature. 1/2 cup of grated Asiago cheese. This Cauliflower Gratin is savory and delicious. 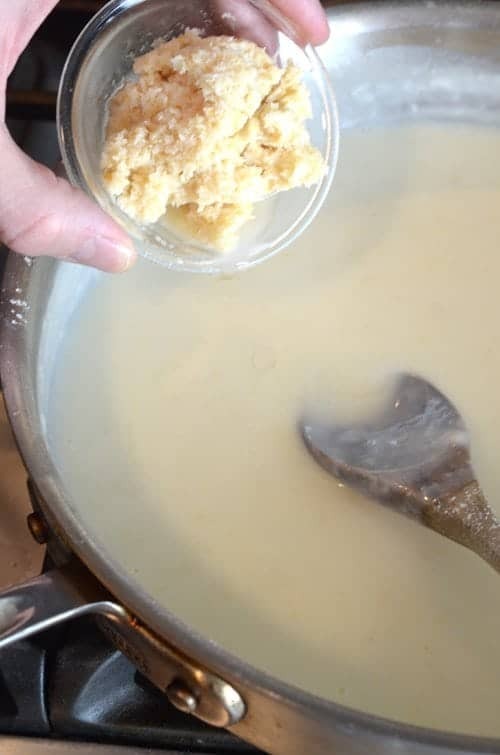 Don’t be afraid of the horseradish; it lends just a subtle kick of flavor and blends perfectly with the milky roux. 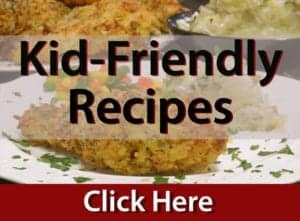 The Asiago breadcrumb topping brings the whole dish together, and you’ll get the feeling that you are dining in high style when in fact, it’s just a bit of cauliflower mixed with a few ordinary ingredients. 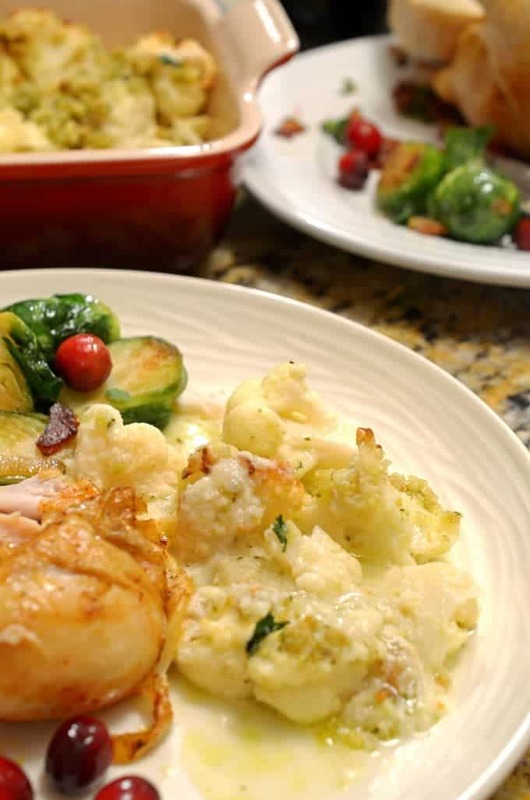 This cauliflower gratin turns an ordinary meal into a fine dining experience. 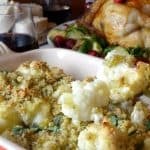 A lively cauliflower recipe, this cauliflower au gratin is a flavorful holiday side dish with an understated kick. 1 lbs large head of cauliflower about 2.5 (1 kg., separated into florets. 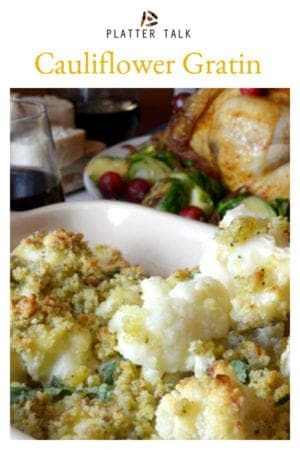 Preheat oven to 375℉ and grease a 3 quart gratin dish or a 9 x 13" casserole dish. Using large sauce pan, cook cauliflower florets in salted water for about 5 minutes, until tender-crisp and then drain. Using large skillet over medium-high heat, melt butter and then whisk in flour until smooth. Cook about a minute while stirring constantly. 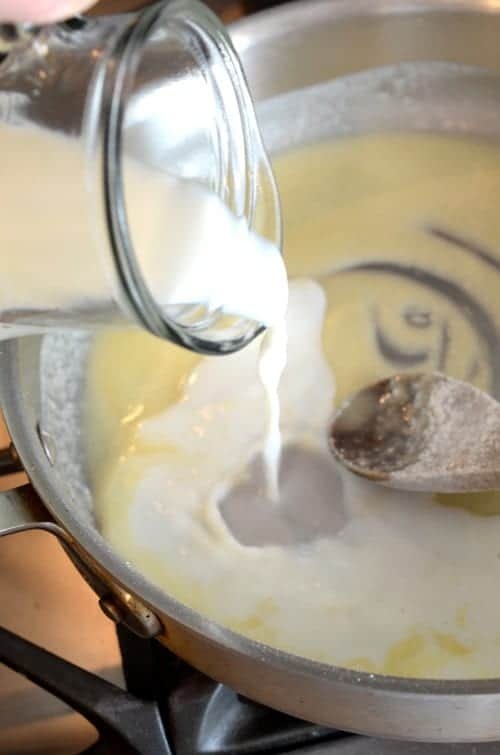 Gradually whisk in milk, can continue to stir over medium heat for several minutes until sauce thickens and begins to bubble. Reduce heat to low, stir in horseradish along with salt and pepper. Pour 1/3 of sauce into prepared baking pan. Add cauliflower and then pour remaining sauce over cauliflower. Place bread, Asiago cheese, butter and optional parsley into a food processor and process until desired texture is attained. Sprinkle breadcrumbs over gratin and bake for about an hour or until top of dish beings to brown. 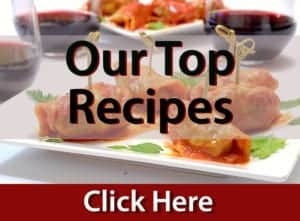 Allow to sit for 5 minutes, and then serve and be prepared to hand out copies of this recipe. Pin this recipe for Cauliflower Gratin for Later. Yum, yum, yum! Make this one every Thanksgiving! Thanks for the comment, Laure and so nice to hear from you! Thanksgiving blessings to you and your family. 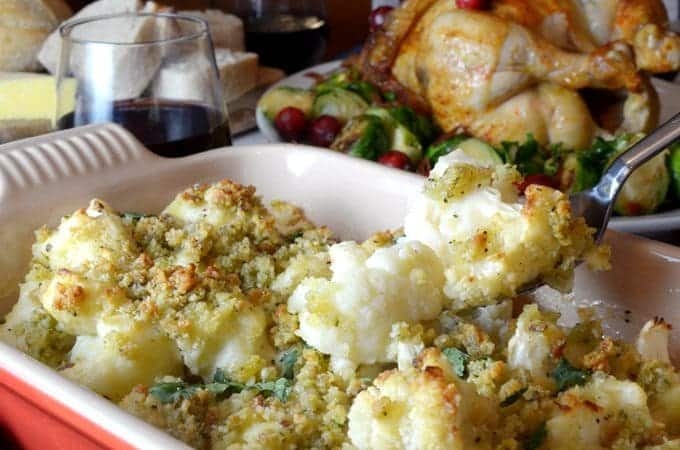 Cauliflower gratin looks delicious this is going to great thanksgiving dish in my house. so flavorful. I know my daughter will love this! She loves cauliflower and it is such a versatile ingredient. I definitely need to give this a try! The minute I saw the horseradish I knew that I had to try this recipe. It sounds so good that I went to my grocery list to add the cauliflower — we already have the horseradish. A great vegetable side any time of year. What a healthy side dish!!! Looks good. Perfect for the upcoming holiday season.